Recruitment begins the first week of school! Find us at the activity expo or fill out this FORM to get emails and updates! 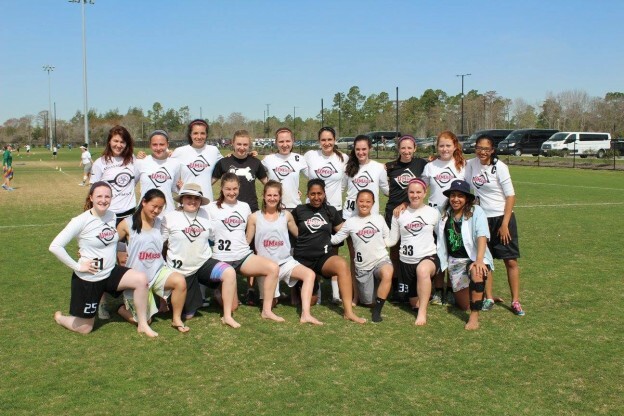 LadyZoo is the Official Umass Women’s Ultimate Frisbee Team. We are a competitive club sport that plays in the Greater New England D-1 Conference. We practice year round with the majority of our sanctioned tournaments in the Spring. Depending on the season we practice on the intramural fields outside, Boyden gymnasium, or nearby turf fields. Recruitment is regularly in the fall but we encourage all those interested to reach out anytime of the year! Practices are usually 5PM-7PM Tuesday, Wednesday, and Thursday on the Boyden Fields. Can’t wait to see you all at High Tide! !